How do you pick your rent or buy budget? Do you do research on what you want and the prices of these offerings or do you just pick a number? I will be honest, I might own seven houses, but I am CHEAP! It’s why we were willing to downsize allowing us to save $1,000 a month during my husband’s deployment. While being cheap has been good a good idea for us it has also hindered expansion on our homes. How do you pick your budget? Do you compare it to BAH rates or the neighborhood rates? Do you look at the utility costs in your area or do you evaluate what houses are offered versus the cost? I ask this because so often I see both potential renters or buyers asking for absolutely unrealistic expectations. Think of it like only packing snow gear for Sydney, Australia at Christmas. Australia is on the opposite season that we are on, so that means it’s summer and you would be very out of place. Picking your budget is no different! Don’t do what I did the first time, be a conscious budget setter. How many bedrooms, bathrooms, etc. do you you have? 2. Determine What Neighborhood or School Zone You Want to Live in. We all have that area where we want to raise a family or allow our kids to go to school in. For us, it has always been important to live in a great school district close to base. 3. What does your budget REALLY allow? I have seen a lot of people moving from low to high housing cost. They create a number based on current goals and housing. Make sure you look at current housing amounts, and if you are in the military look at both current and future BAH rates. Trust me, I get it! One of the biggest mistakes I’ve made is to go into a situation and say I want to spend no more than a specific amount on a house. In the case of our first house that was $200,000. The issue was no decent house that fit our criteria was less than $235,000. It took a failed house and $2,000 for us to realize our mistake. The key to our success has been flexibility. We evaluate the area, decide if we can afford it, and then come up with a realistic budget for the house based on where we want to live. We still have gotten a great deal through lots of sweat equity, whether it has been a foreclosure that we fixed up, or a short sale. The key is to make sure you don’t get yourself in trouble by buying or renting a “cheap” house that costs more in the long run. 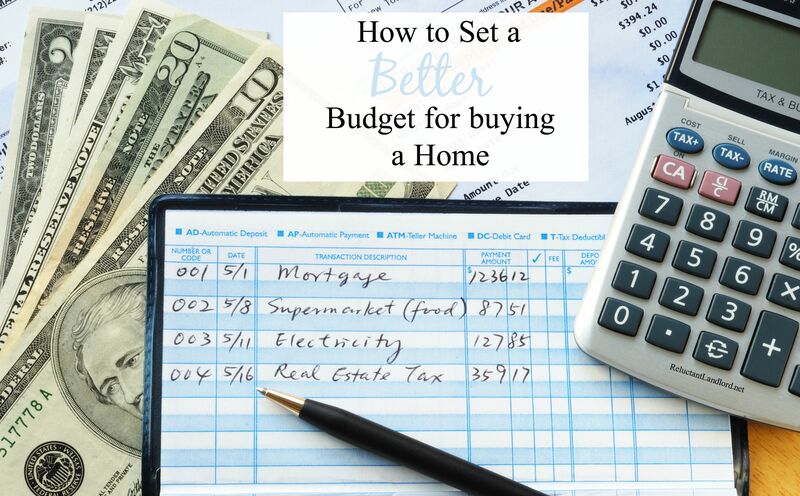 How do you determine your budget for buying a home?